← How *do* cats land on their feet when falling, anyway? 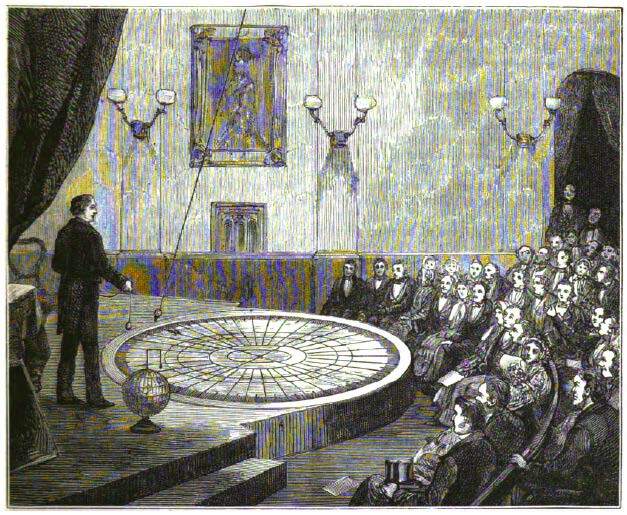 Illustration of an 1861 Foucault pendulum demonstration at the London Polytechnic Institute. Image from The World of Wonders (1883).